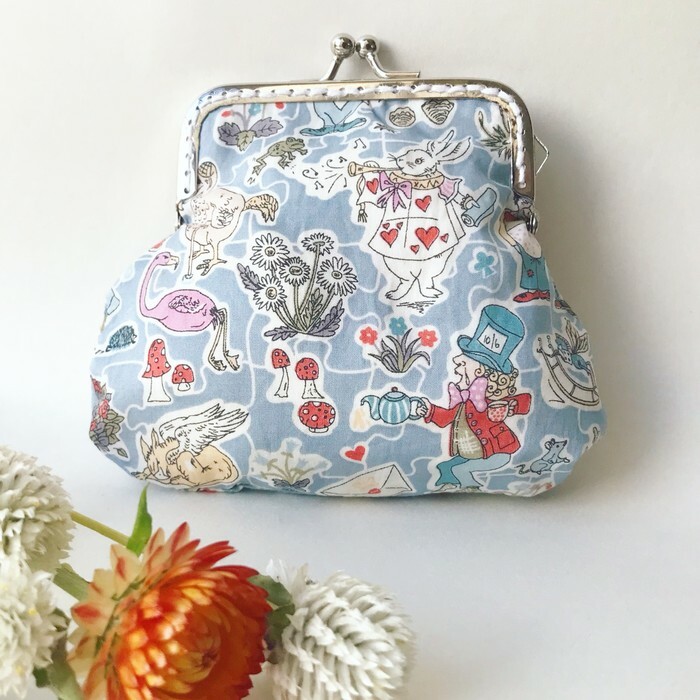 This statement coin purse is made from stunning Liberty London Gallymoggers fabric wjich features the characters of Alice in Wonderland. The perfect accessory to compliment outfits in many colours. 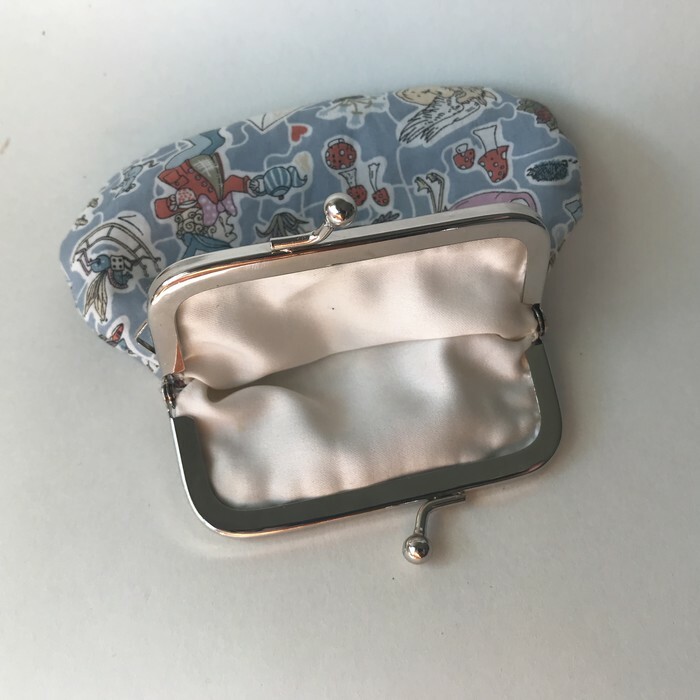 The purse is fully lined and has the option of being carried as a wristlet if you prefer (please send a message if you’d like a plaited leather strap included). Liberty fabric is extremely high quality and stunning in design. In an attempt to provide a beautiful and sustainable product at a reasonable price, we’ve sourced factory offcuts. That way, we stop the Liberty offcuts from hitting landfill and are able to provide the high quality end product at a lower price than if we purchased the fabric by the metre. Ideal as a mother’s day gift, midwife gift, teacher gift or birthday gift or why not just treat yourself to something beautiful? 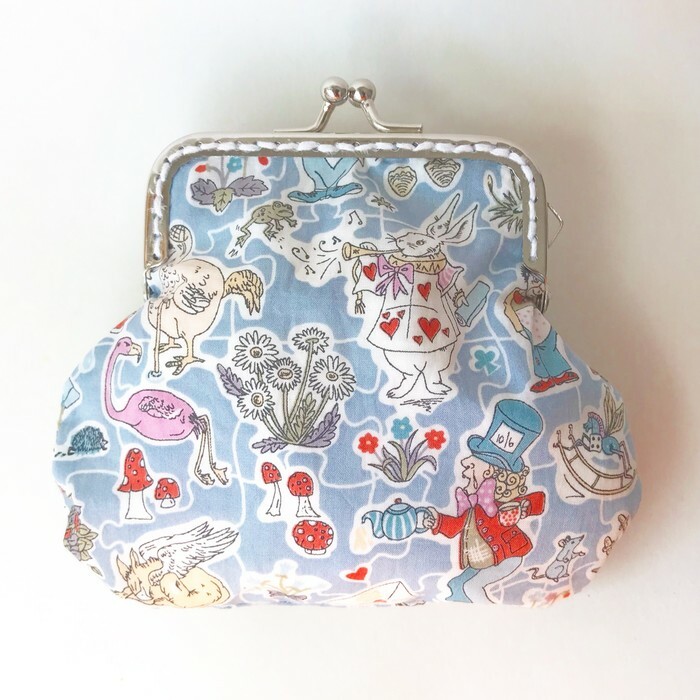 We have other styles and colours of purses available and also plan to add scrunchies and hair accessories to match the purses as we source more fabric.